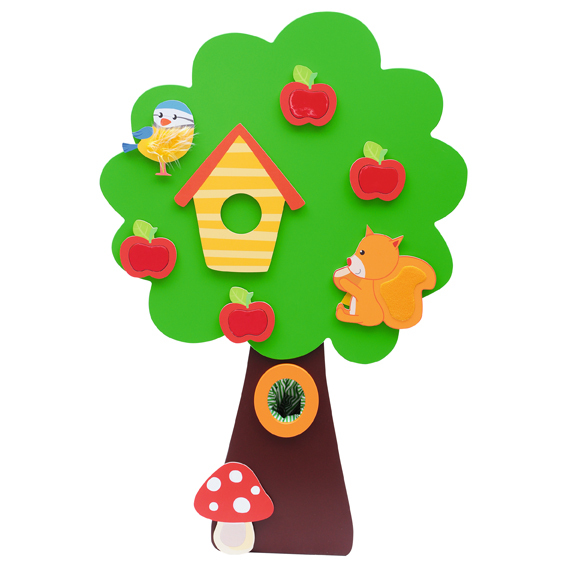 The tree is a freestanding unit with a ball track (entry and exit point) and also a cotton pocket for sensory play. 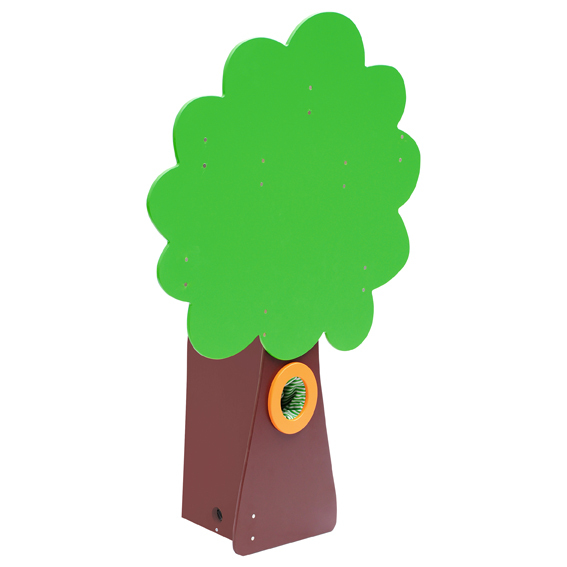 Up to 7 sensory elements and the Bird Feeder (not included) can be magnetically attached to the tree. The case at the back of the tree is made of laminated chipboard with a ball track inside, entry is on the one side of the case and the exit is on the other side.